With strut, without hd suspension. Without hd suspension, 3.1L. Without touring suspension. Without h.d. suspension. Heavy duty suspension. Handling suspension. All models. Corsica. Beretta. Left. Pontiac. Standard. Chevrolet. Without z24. Without tbi & 2.0L. Struts & components. Notes: Part & Prices Are For Estimating Purposes Only. 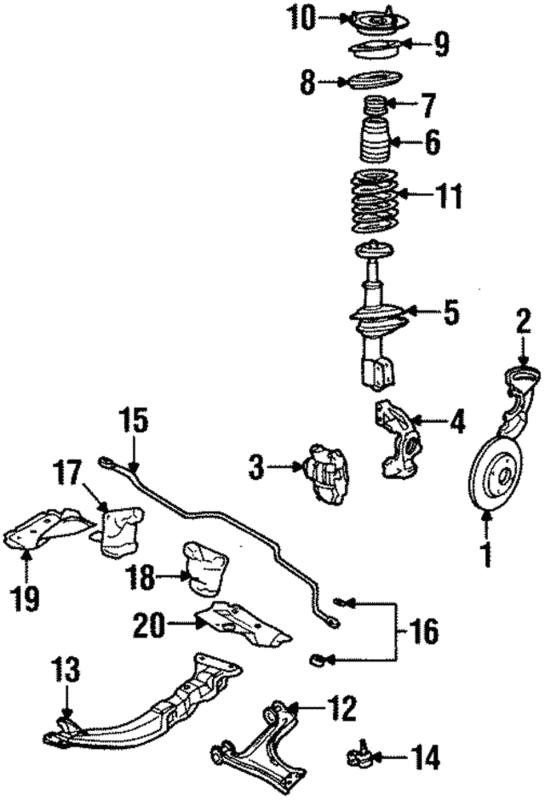 Parts & Prices For Estimating Only, Order By Suspension Code.